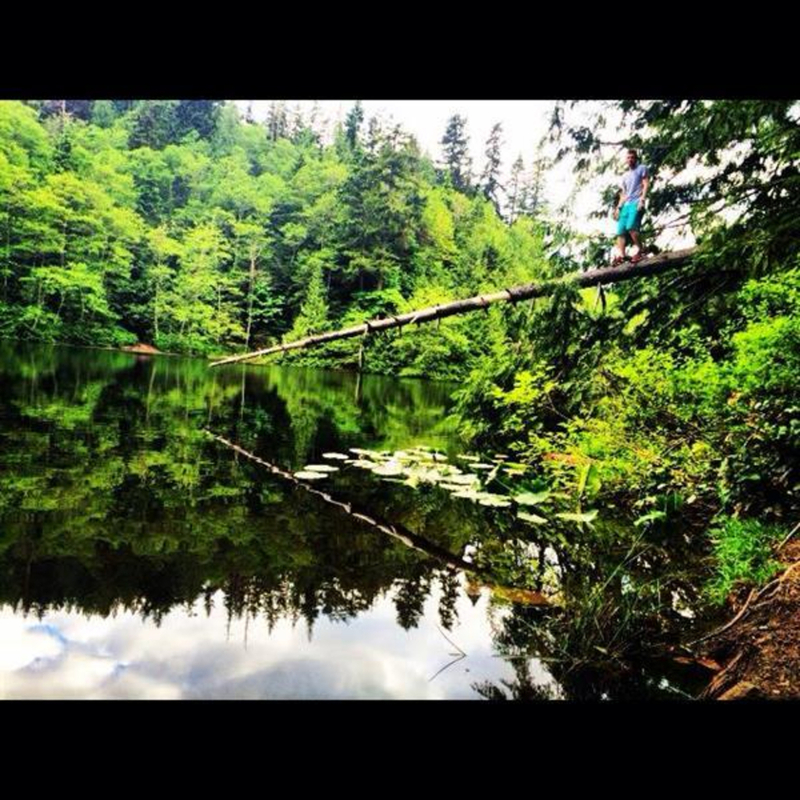 Fragrance Lake affords a beautiful run/hike up through the surrounding forest, offering a spectacular view of the bay. A steady uphill, Fragrance Lake isn't steep enough to keep people away, but beautiful enough to make you want to work for the scenery. 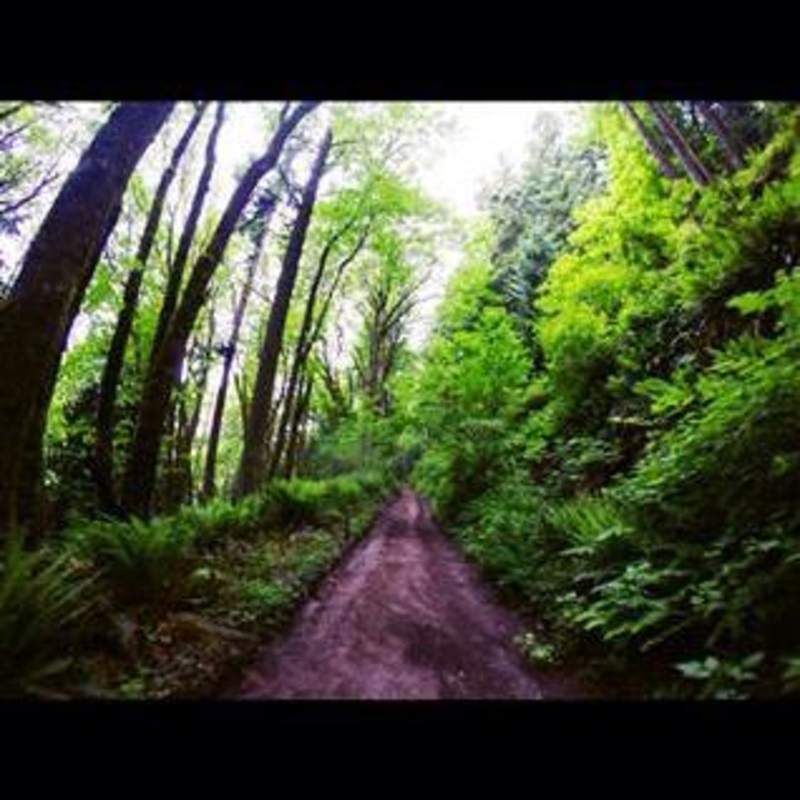 As part of the Bellingham Trail Running Series, this trail has become a very popular destination. 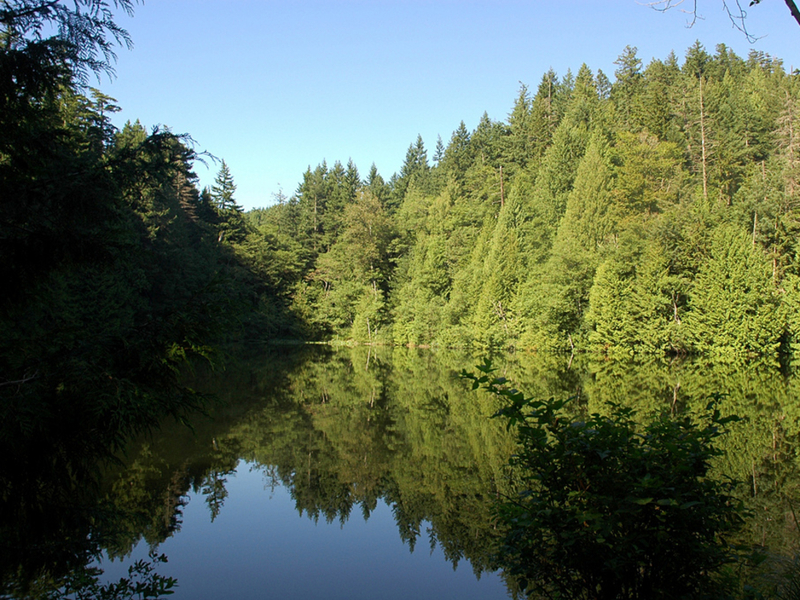 From the trailhead on Chuckanut Drive, it pops you up onto the Interurban Trail momentarily. Cross over, and start heading up the continued Fragrance Lake trail. Right away it shoots you through some switchbacks, weaving through the dark forest. The trail is soft and forgiving, but some of the turns aren't as kind. After 0.8 miles, you'll find yourself at a clear fork. 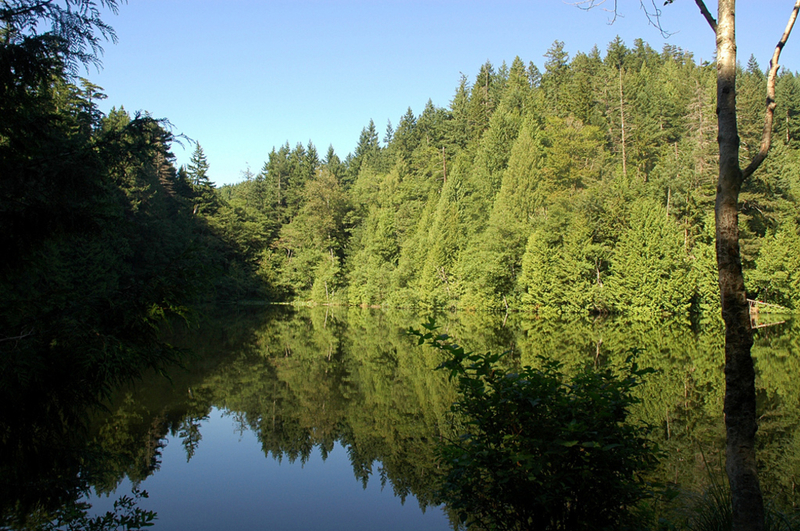 Take the right turn to continue about a mile until you find yourself at the petite-sized Fragrance Lake. The loop around the lake is a little less than a half mile. Throughout the whole hike, the canopy of giant timbers is gorgeous. Back at the fork halfway up the trail, it is highly suggested you take the time on either the way up or way down to go the 0.2 miles out to the viewpoint. The drop off (fenced) is staggering as you gaze out over the lower Chuckanuts and bay waters, out to the San Juan Islands. The Fragrance Lookout is a big part of what makes this such a favorite destination among Bellingham locals. On a clear day, it can provide some of the best views the Chuckanuts have to offer. A soft trail, a solid distance, and an amazing view - what more could a trail runner want? To get there, from Bellingham, travel south on Chuckanut Drive for roughly 7 miles. 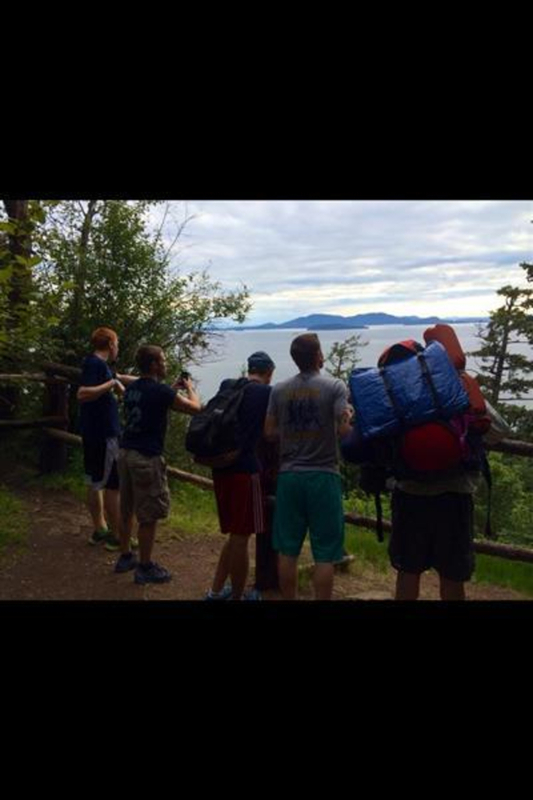 The trailhead will be on your left, across from Larabee State Park. Don't confuse with Fragrance Lake Road, a couple turns ahead, unless you are looking to drive to the lake. The hike/run is well worth it.